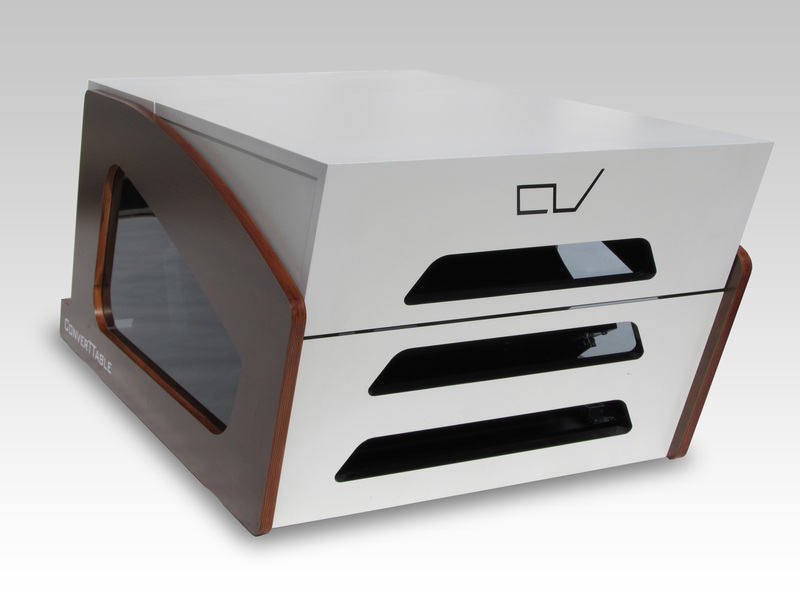 The prototype was exhibited for the first time at the design fair in Kortrijk (Belgium), in 2008. Two years after the reveal, the production model was shown at Gamescom in Cologne. 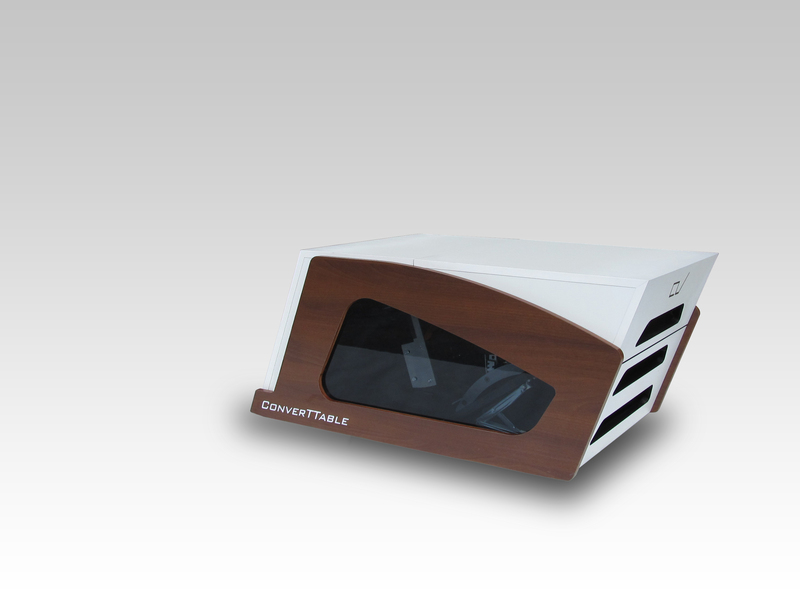 After more than three years of research and development the ConverTTable was 2010 finally ready for production! This long period of development was good for the ConverTTable though, since it needed this time to mature into a fine product. After the completion of an intense prototype phase, it was decided to further develop this product technically and optically according to the highest quality standards. 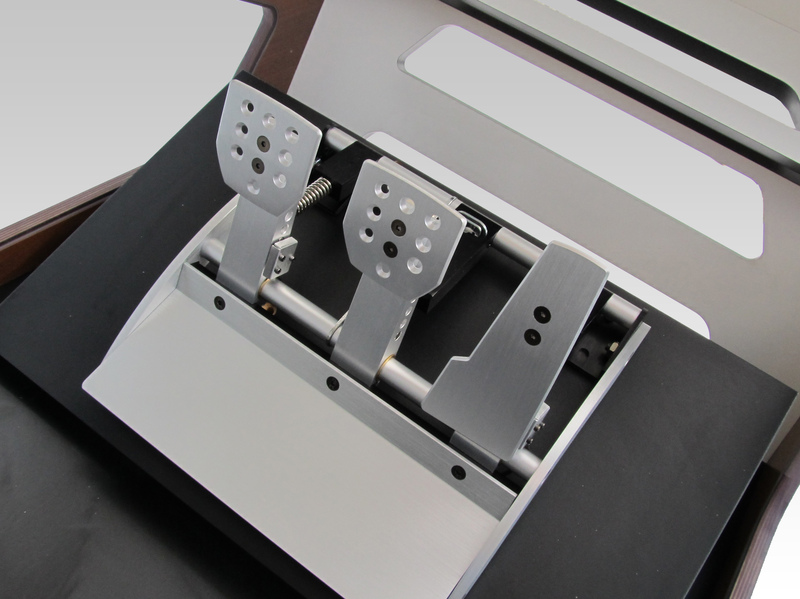 The use of an ingenious pedal and wheel adjustment system is only one of the many fine details worth mentioning. 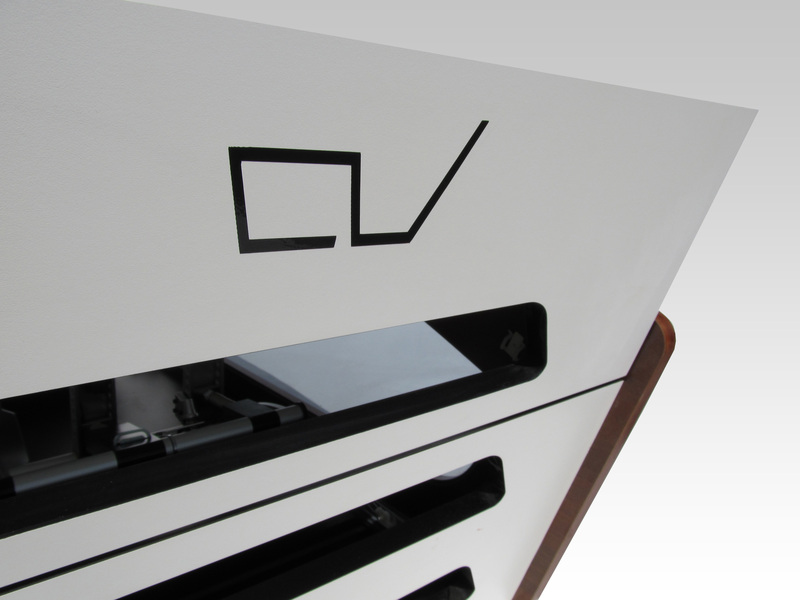 With the help of industrial designer Michael Hirschmann, the ConverTTable received a final polishing to become more aesthetically pleasing and racy. Much more than a furniture! Instead you have a centerpiece which will not only lend your room atmosphere, but should also be attractive to both men and women who are particular about their furnishings! 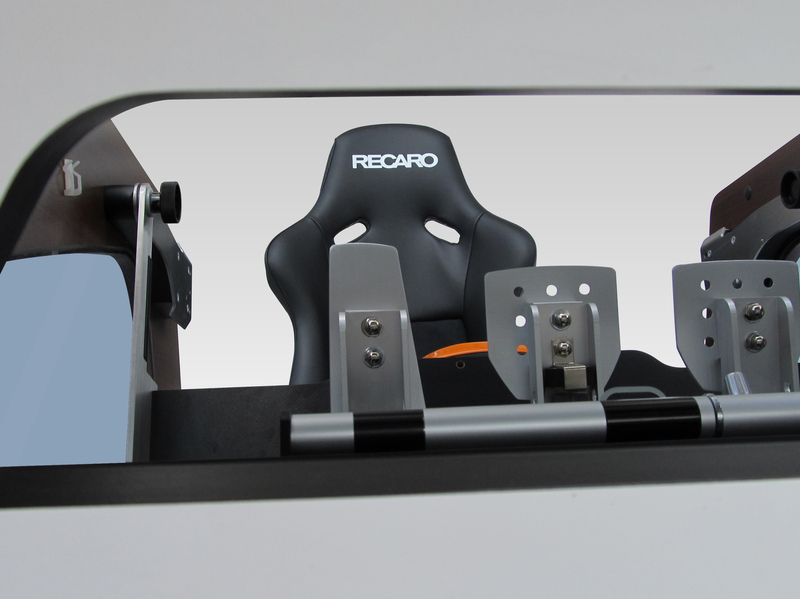 Adjust the angle of the pedals, the steering wheel and the position of the RECARO seat for your perfect playing position! The winner takes it all! 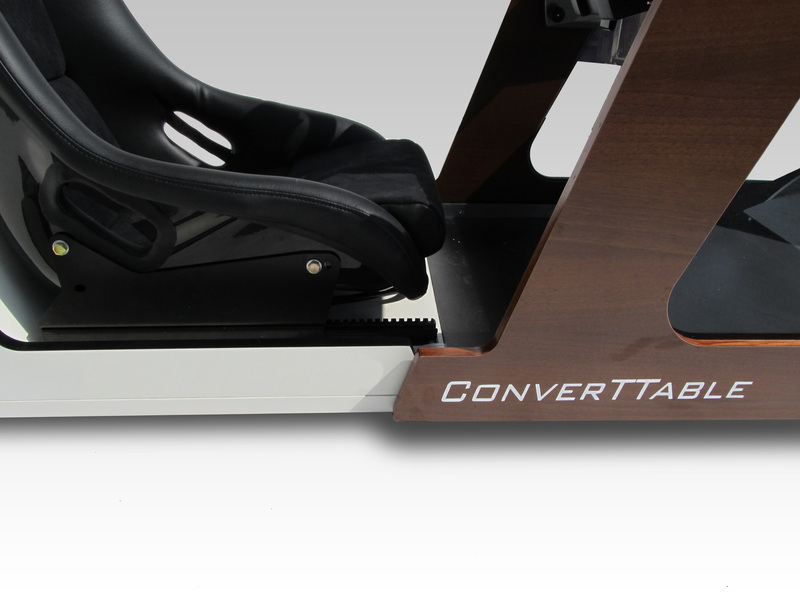 The ConverTTable is hand made in the highest quality and ready assembled! 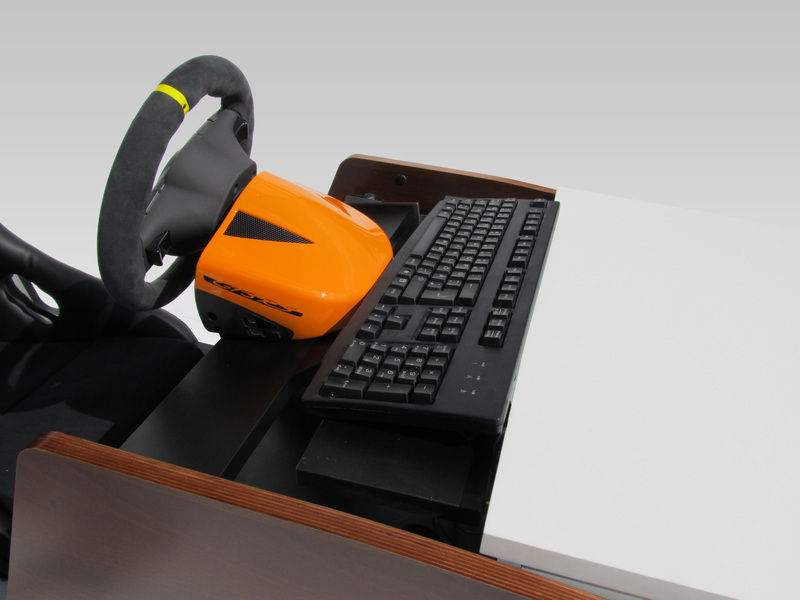 Precision CNC milled wood and the specially developed mechanics make it a high end product! 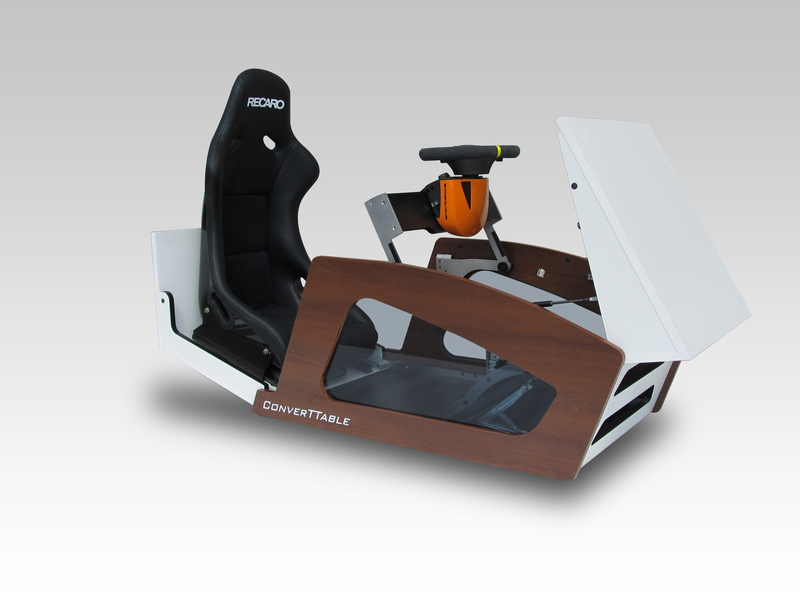 The ConverTTable is compatible with numerous steering wheel manufacturers like Fanatec, Logitech or Thrustmaster! 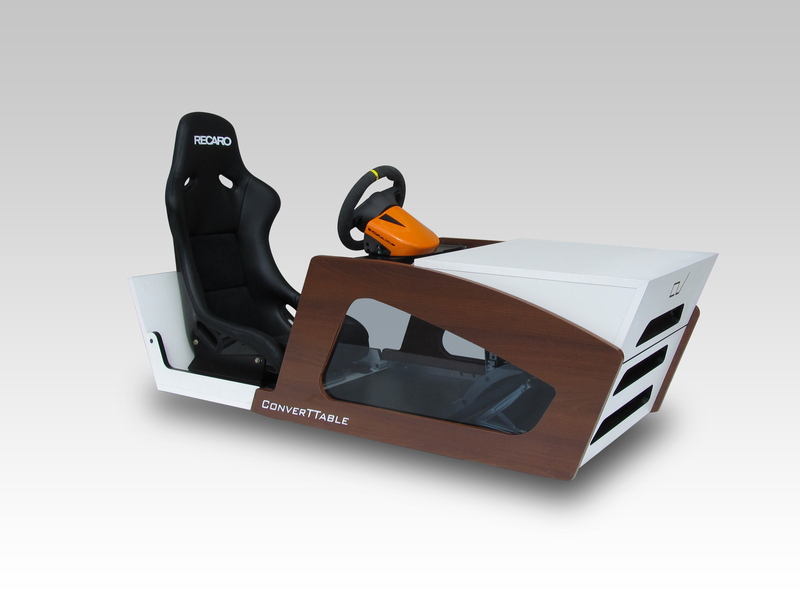 Depending on the steering wheel, it can be used for the Playstation, the XBOX or even for the PC! 1 piece is ready for shipping within 14 days colour: white / anthracite Usually ships within 30 days.